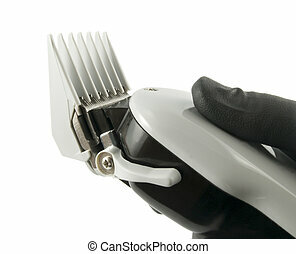 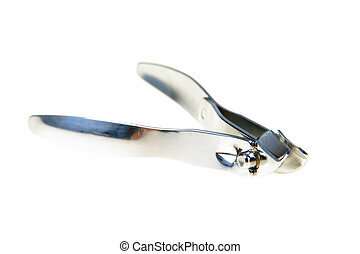 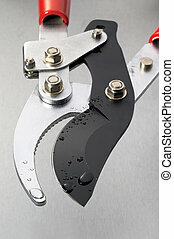 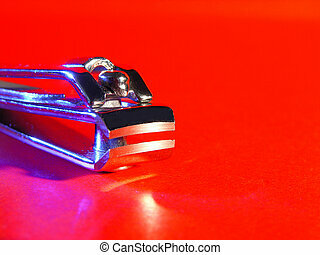 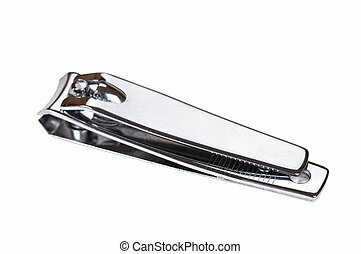 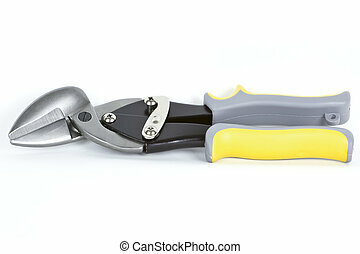 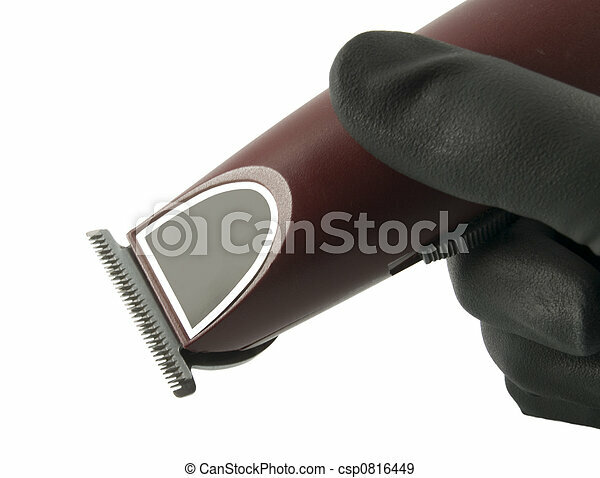 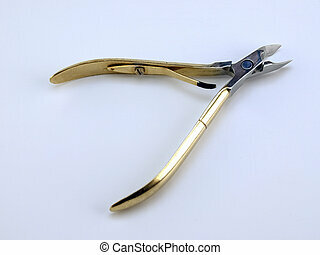 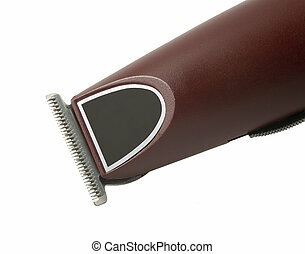 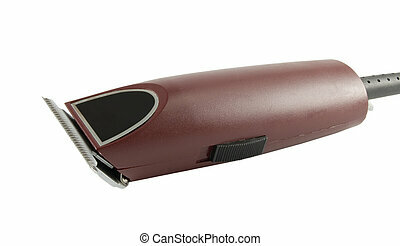 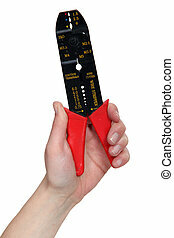 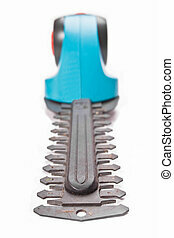 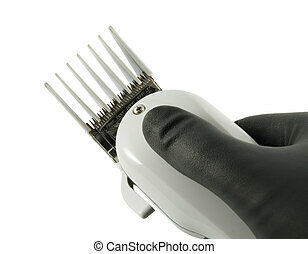 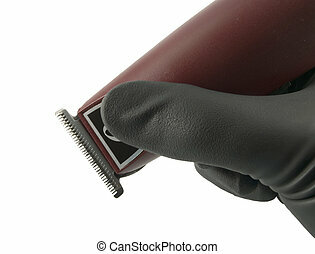 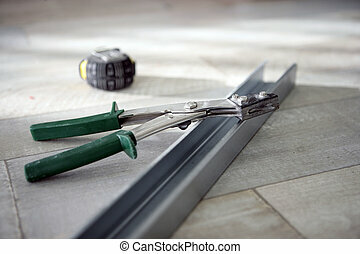 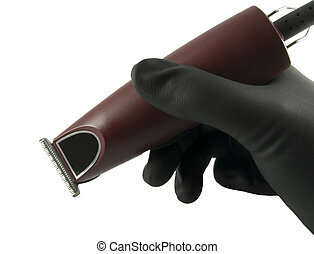 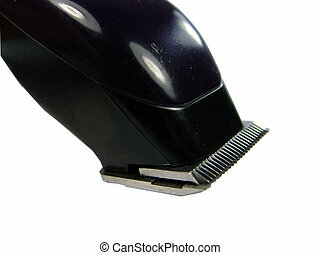 Close up on hair clippers. 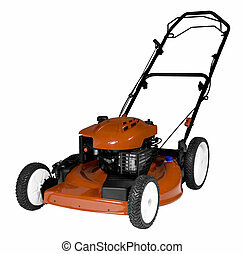 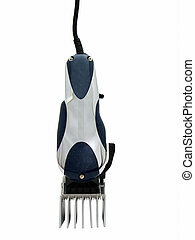 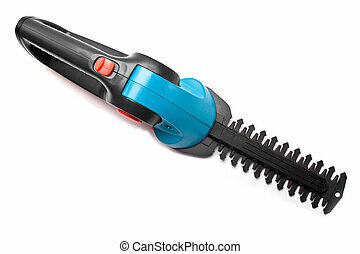 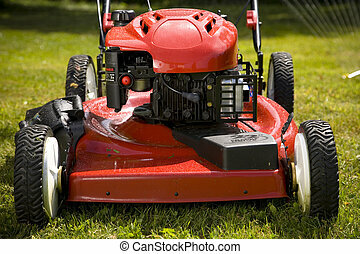 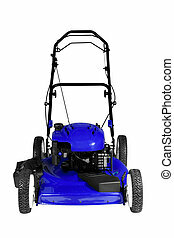 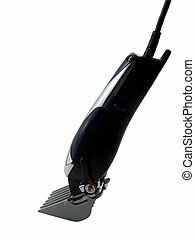 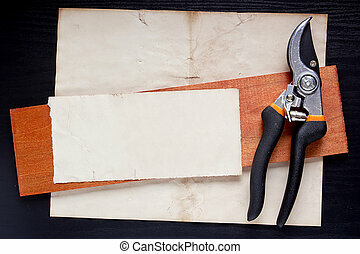 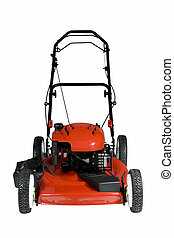 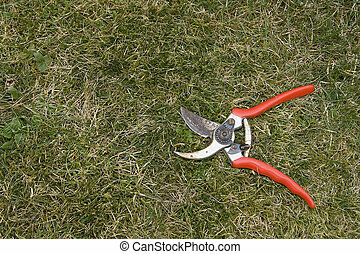 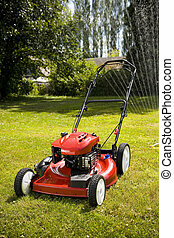 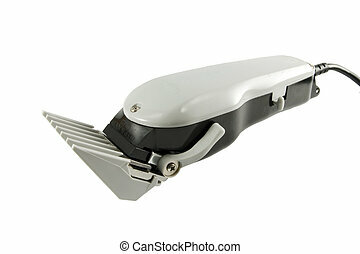 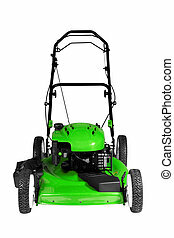 An isolated lawnmower on a white background. 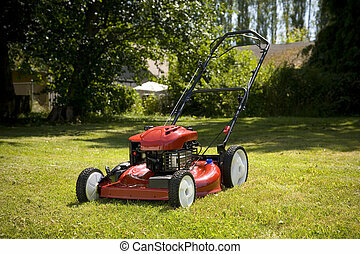 A red lawn mower in fresh cut grass.